We Are Social has created two touching films to highlight how HSBC’s seamless banking features help people to progress in their everyday lives. 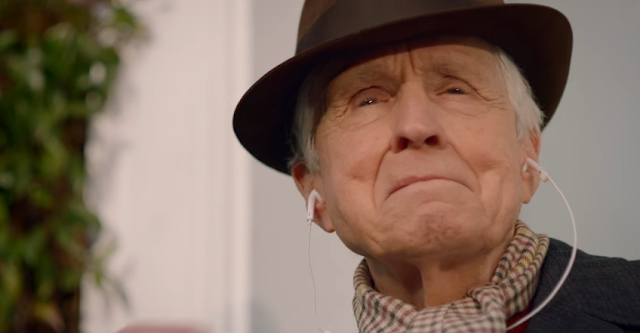 87 Years Young follows a day in the life of 87 year old Arthur as he takes a chance on love and uses his Fast Balance to check he has enough money to treat his new date to dinner. The second film, The Caring Adventurer, follows a cyclist on a charity bike ride who is given an extra boost of motivation when he sees how much money he has raised by checking his HSBC Fast Balance. Both films focus on highlighting the digital products that HSBC have developed to help their customers manage their finances by removing the boundaries of traditional offline banking. The hero films will be released on YouTube, Facebook and Twitter from February 14th and supported with a comprehensive digital strategy. Consumers who show an interest in the films will be shown shorter, 20 second films which showcase HSBC’s different digital banking products, including Touch ID, Apple Pay and Voice ID. The agency has also created a series of GIFs to highlight the bank’s products and services. These will be shared directly with consumers who have interacted with the other parts of the campaign.